As the weather gets colder, it’s a good idea to do some fall maintenance on your outdoor equipment and put it to bed right. While you could add stabilizer to the gas tank in the fall and hope for the best, gasoline seriously degrades over the winter and can gum up and ruin a small engine. 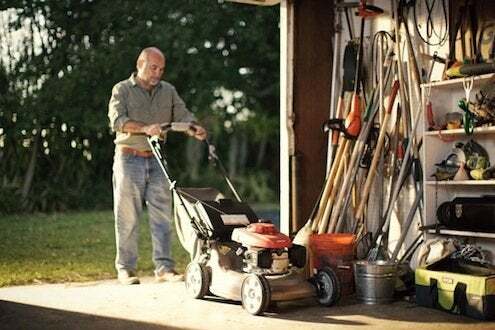 If you have gasoline-burning tools like tractors, chain saws, lawn mowers, leaf blowers or trimmers, drain any gas left from the summer and fill the tank with fresh gas. And don’t forget to change the oil. At the beginning of next season, you’ll want to charge batteries on electric starters or rechargeable tools, so make a note about replacing any that are more than 4 years old. Sharpen and grease blades and change line trimmer heads so you’re ready when the grass starts growing again. Inspect tires for wear and check wear points for any damage. If you don’t have a fully protected storage area to park your equipment over the winter, this is a great time to think about investing in a shed.